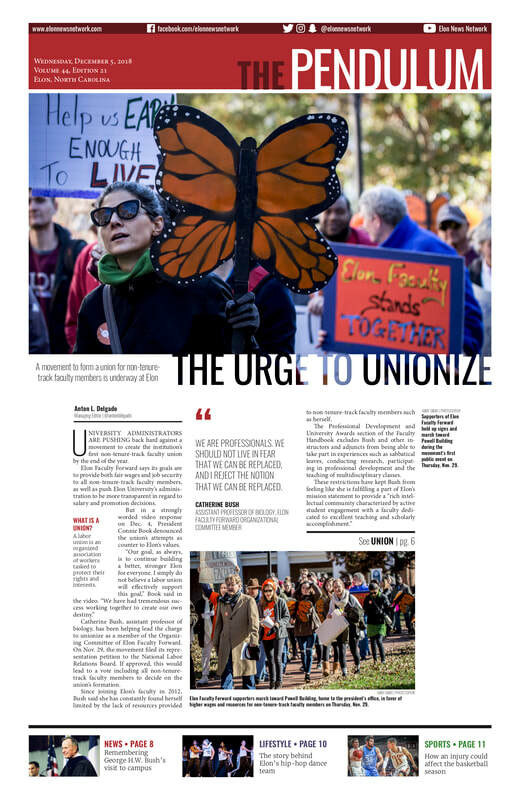 Faculty members at Elon University are working toward creating the institution's first non-tenure-track faculty union by the end of fall 2018... ​Click here to read more and here to visit all ENN's union coverage. 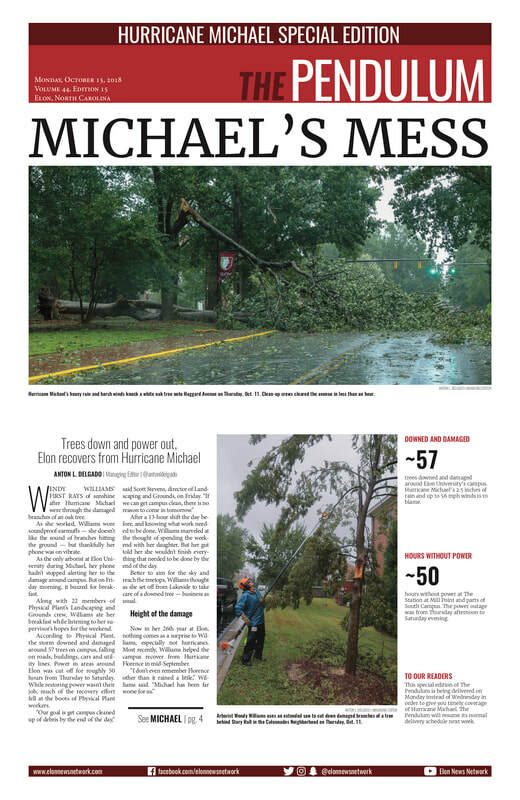 For all of the preparation and worry, the anticipation for Hurricane Florence left more of a mark than its landfall did at Elon University... Click here to read more. ​Click the thumbnails to see the print layout and ​here to view the full issue. Buried within a 429-page tax reform bill are provisions that target those within the higher education community... Click here to read more. Click the thumbnails to see the print layout and ​here to view the full issue. GRAHAM — In less than 15 minutes, Elon University students can find themselves standing at the base of a confederate statue... Click here to read more.